CHARLOTTE AMALIE — The United States Virgin Islands Rugby Football Union (www.usvirugby.org) is pleased to announce that their 15’s team, The Privateers, will be playing a game on Saturday April 23rd, 2016, against the British Virgin Islands, at A.O. Shirley Stadium on Tortola. This game marks the USVIRFU’s third competition in three months. The USVI roster (included below) for the game includes players from all three islands. In February, the USVIRFU sent their touring side, The Exiles, to Fort Lauderdale Ruggerfest tournament where they finished fourth among eight teams. In March, the Privateers were narrowly defeated by a touring Harvard Business School in St. Thomas, the score was 21-22. 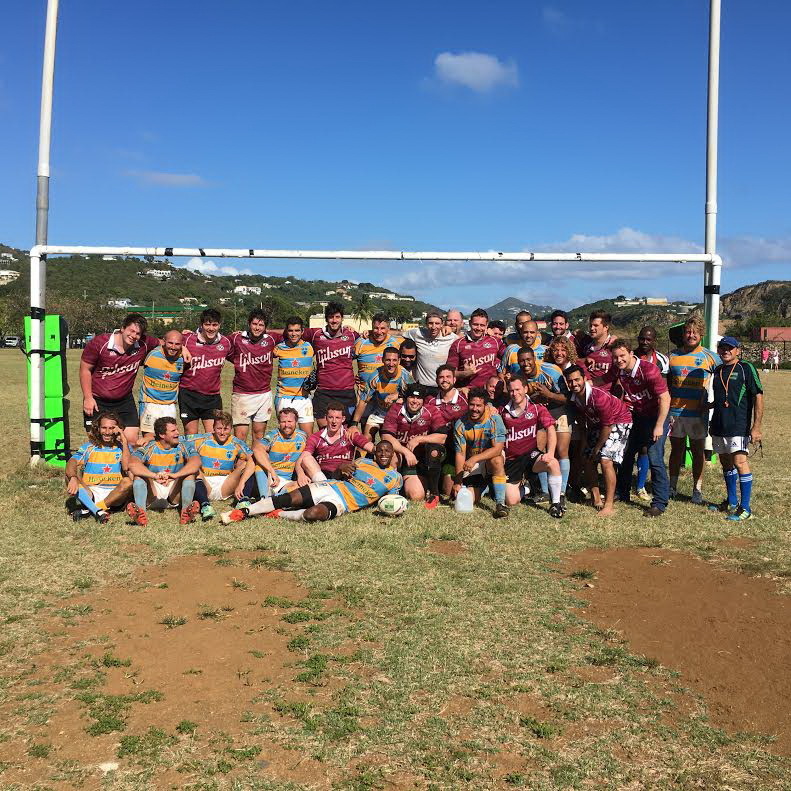 The HBS touring team also defeated the BVI team 14-12 setting the stage for what should be a good USVI vs. BVI match in their continued rivalry. The Virgin Islands Rugby Football Union was founded in 2012 and competes perennially with BVI Clubs, the San Juan Men’s Club, and hosts stateside teams here in the territory. The club is active on all three islands and competes in 7’s and 15’s rugby. The club also hosts contact and non-contact rugby games for all, as well as monthly social events including beach rugby and Frenchtown Fives. All Virgin Islanders, men and women of all ages are welcome to be a part of our Union. The Union extends an invitation to join us at one of our weekly practice, most Thursday’s from 6pm to 8pm at Charlotte Amalie High School to learn and play rugby. Our primary mission is to promote the sport of rugby in the USVI, and to support and develop athletes for competition at local, regional, national and international levels. While rugby is our main focus, the USVI Rugby Football Union’s vision is to provide a variety of programs that serve our community as the Union grows. Through goal setting, teamwork, hardwork, and discipline, our programs will catalyze and create new opportunities and success for our participants both on and off the field. 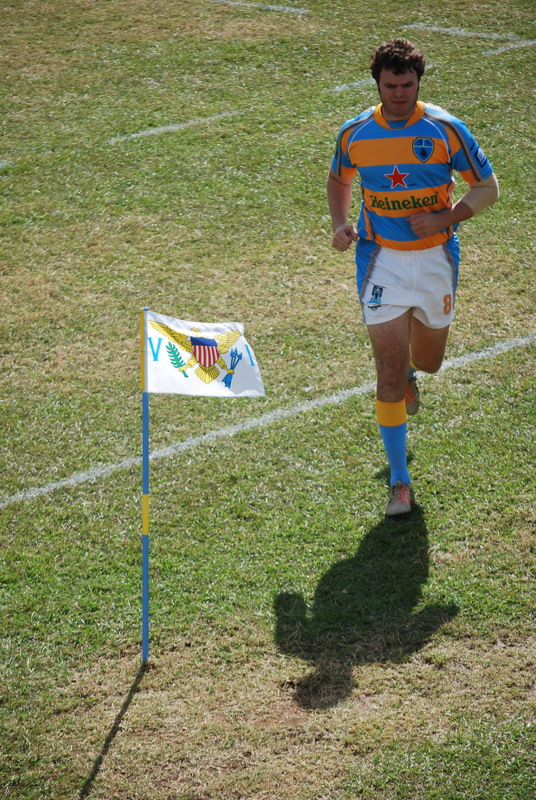 USVI Rugby Captain Joe Brugos.